Losing a loved one can turn your world upside down and make you feel lost. Talking about how you feel can help. Everyone experiences grief in a unique way. 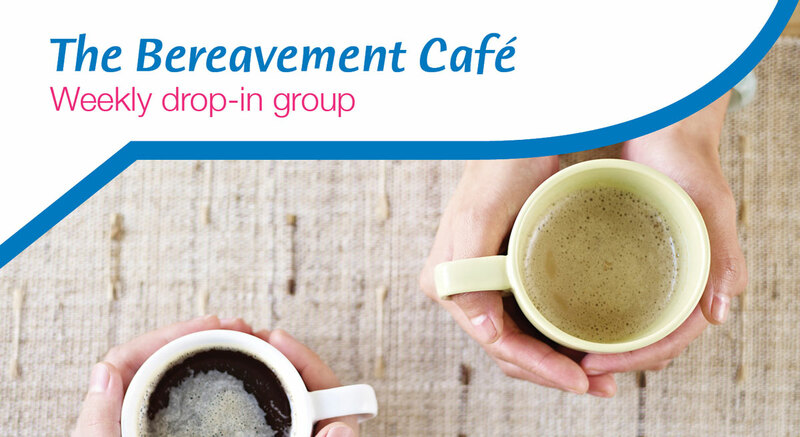 The Bereavement Café is a place to meet others who have had similar experiences to your own. It is somewhere you can speak freely and share stories with others coping with losing a loved one. The Bereavement Café is a space to talk about the pain of loss but also find courage and strength in knowing you are not alone. Here it is ok to cry and laugh, to be angry or frightened. You may be more of a talker or better at quietly listening. Sometimes it’s good just to have a cup of tea and hear people’s stories. The Bereavement Café is not counselling. It is a drop-in session. Bereavement is a natural process and most people do not need counselling for it. There will be information available on the other services we offer. You can read about the experiences of some of those who attend the Bereavement Café by clicking here. The Apex, 1 Charter Square, Bury St Edmunds, Suffolk IP33 3FD. On the day simply follow the banner signposting to the group. The drop-in sessions are held every Wednesday from 10am to midday. The Apex is situated in The Arc shopping centre, just two minutes walk from the main bus station which is situated on St Andrews Street North. Buses arrive at this station from local and National Express services. Most bus routes include a stop at The Arc. There are lifts to the upper level where the café is situated. There are accessible toilets available on the first floor and basement levels. For more information please call 01284 702525 or email enquiries@stnh.org.uk. The Bell Hotel, 25 High St, Mildenhall, IP28 7EA. The drop-in session are held every Friday, from 10am to midday.